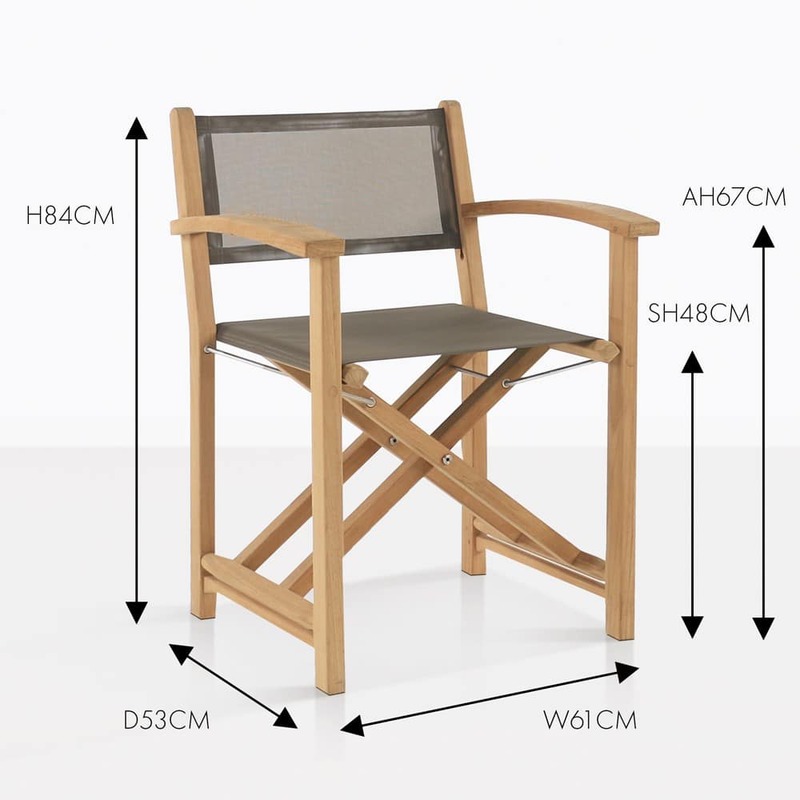 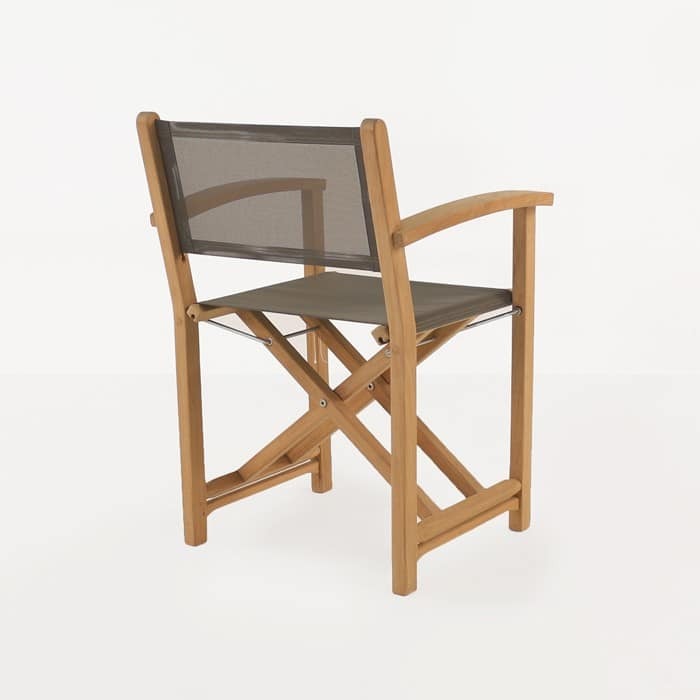 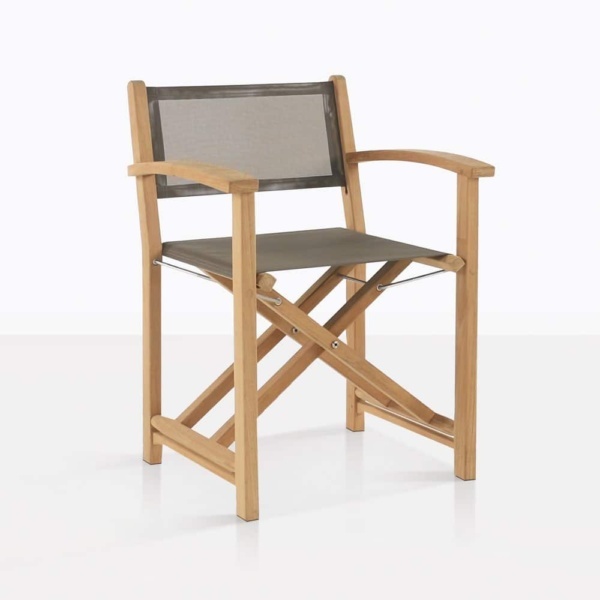 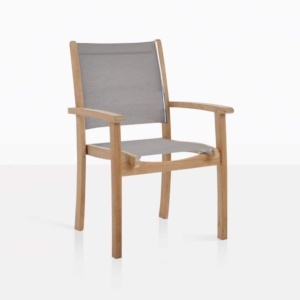 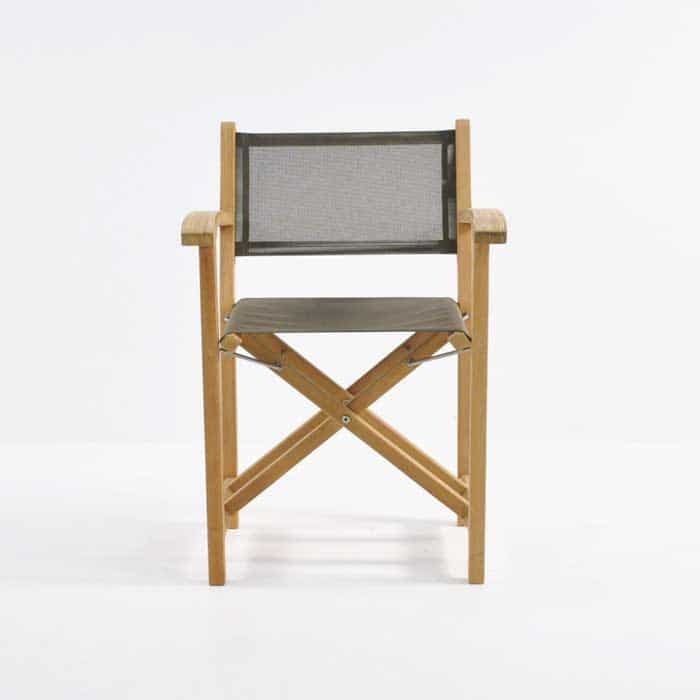 Set your sails on this new contemporary directors chair, made with the glamorous French product, Batyline® Mesh and our signature Grade A Teak. 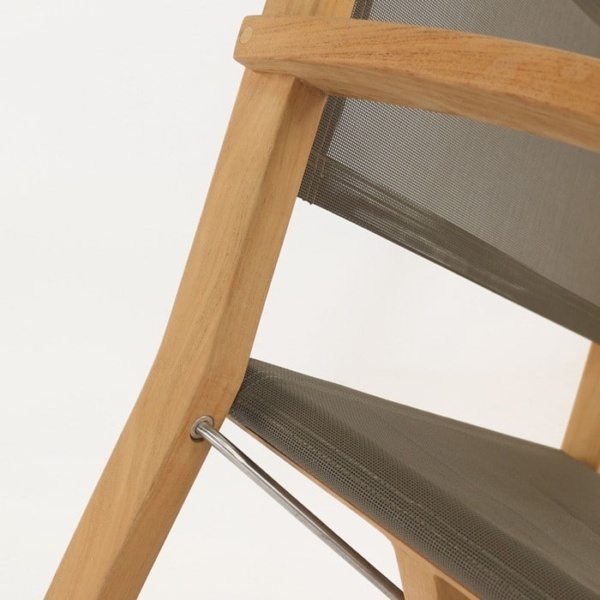 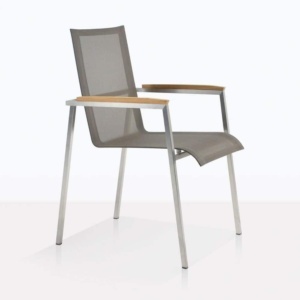 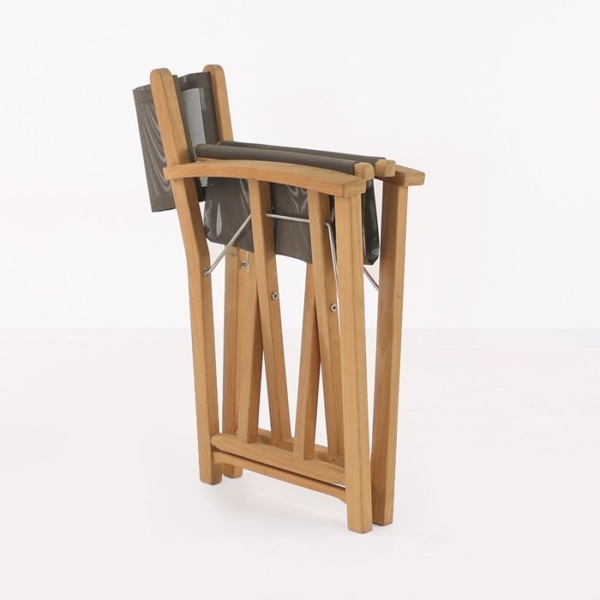 This chair folds for easy storage; easy to clean and maintain. 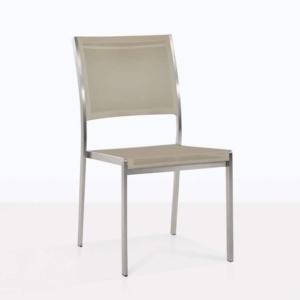 Place around one of our Raw Concrete Tables to bring the texture of the chair alive!